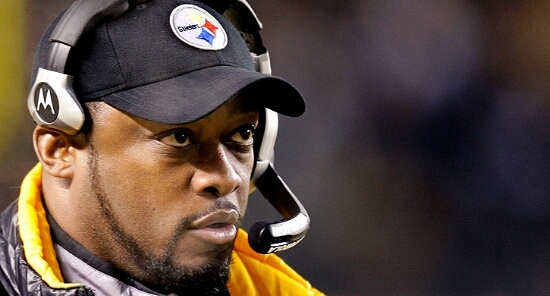 Tomlin Amongst Top 5 Highest Paid Coaches..And Well Deserving | "IT'S A STEELERS WORLD"! ESPN’s Jeremy Fowler reports that the extension for Steelers head coach Mike Tomlin, which carries him through the 2018 season is worth at least $7 million a year, which would put him in the top five highest paid coaches in the National Football League. 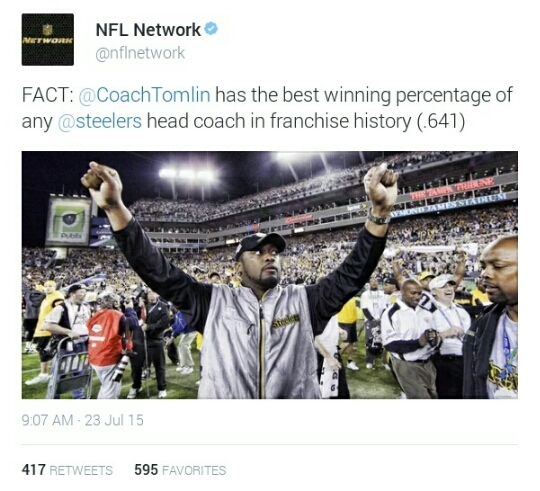 Tomlin has a Super Bowl win and four division titles in eight years, with an 82-46 regular season record. While he hasn’t won a playoff game since the 2010 season, he’s clearly valued by a team that values stability. That is exactly what solidifies a franchise..”Stability Within An Organization..cannot be stressed enough. But still you have those naysayers who believe that Tomlin is not worthy of an extension or even remaining as the Steelers head coach, and to those people I say..”wake up”! Tomlin is more than deserving of this extension and I hope that he remains with the organization until he feels he’s ready to call it quits. Outstanding Coach, Glad you’re still here.On to #7! !